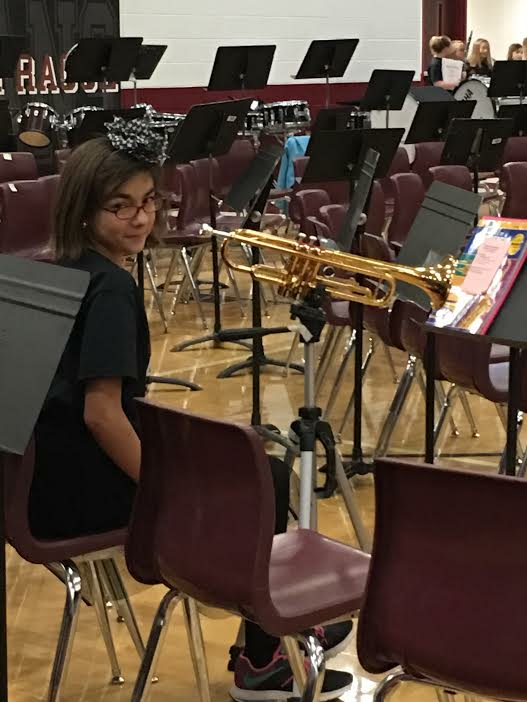 When Falcon Ridge 5th grader Isabel Podratz was just three years old she suffered a stroke during a medical procedure that impaired the use of the left side of her body. Her life drastically changed at that moment and she has faced countless physical challenges throughout her young life as a result. 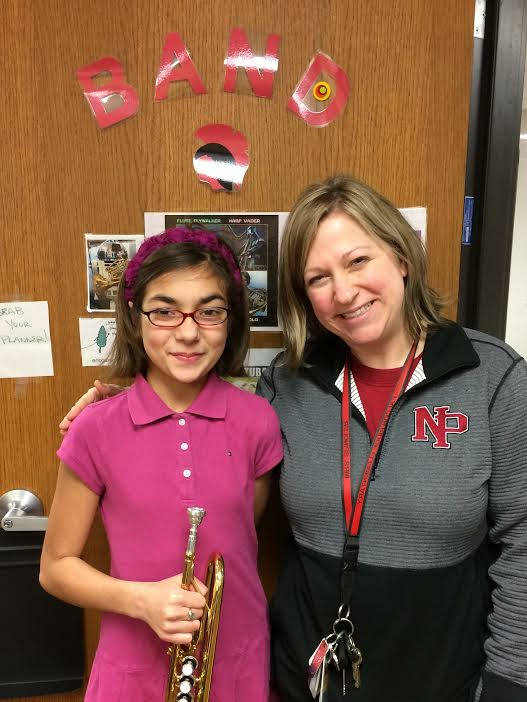 One of the decisions students have to make in 5th grade is whether or not to join band. When you only have the use of one arm that decision becomes much more complex. That didn’t stop Isabel from wanting to be in band. Spindler consulted with several others to put a plan into action for Isabel. Barb Zweber, occupational therapist, and Becky Wolf, special ed teacher at Falcon Ridge, designed a stand to hold a trumpet so Isabel could play with one hand. Isabel was out of school for most of December. This put her behind in band and feeling like she wanted to quit. As the Panorama of Bands Concert approached in February, those feelings intensified. The day of the concert arrived and Isabel was excited, but that quickly gave way to apprehension when she arrived at the High School. The gym was packed with over 550 students as the concert featured every band member in the school district. For Isabel, the concert could have been a source of frustration and perhaps some embarrassment. But as a result of NPAS staff going the extra mile, Isabelle’s first major performance was a positive experience. We are proud of our teachers and staff who exemplify the New Prague Way every day to make a significant difference in the lives of our students!